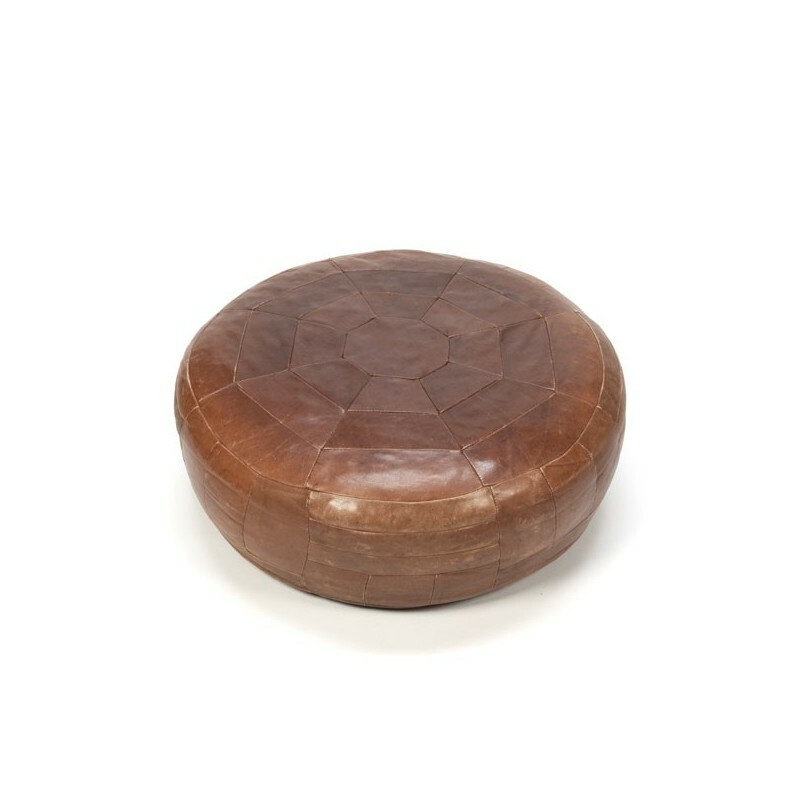 Vintage ottoman from the seventies. 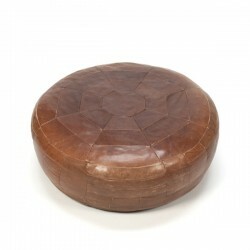 The ottoman is made of leather and is given the age, in fair condition. The dimension is 80 cm in diameter and is 32 cm high.